• Don’t Follow the Rules: Limits to State Autonomy in Federalism: By the time Lincoln was officially president, the Confederacy was a fact. His inauguration in 1860 spoke of the United States Constitution being designed to “form a more perfect union”. Lincoln tried to appeal to the border slave states with the Corwin Amendment to the Constitution, which had already passed congress. 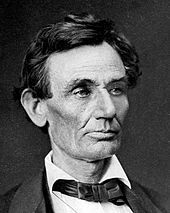 Abraham Lincoln ignored the constitutionality of secessionism: The Southern states began to secede from the union because Lincoln gained the presidency. Lincoln was adamant about stopping these states from such action at any cost thus leading to war. First of all, there was a great deal of autonomy between these states. Federalism is designed to maintain the cultural integrity of separate states within a united country. There are limits to a cultural group’s rights with respect to those of the greater whole. The United States was greater than the sum of its parts. The South disagreed; they were motivated by economic concerns. The problem with federalism is not that individuals were not terribly well connected and so micro-cultures emerged. A broader slave culture dominated the southern states. A Northerner who believed that Republican Party policy was morally superior trampled Southern culture. Below is a recent DailyShow debate between Judge Andrew Napolitano & everyone about the legacy of Lincoln pertaining to whether slavery would eventually have died off in the US through non-violent, non-interventionist means.